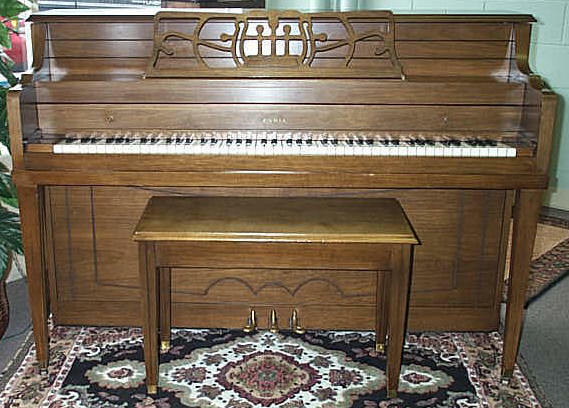 The "Cable" brand name was one of many pianos produced by Aeolian, who purchased quite a few piano companies over the years. 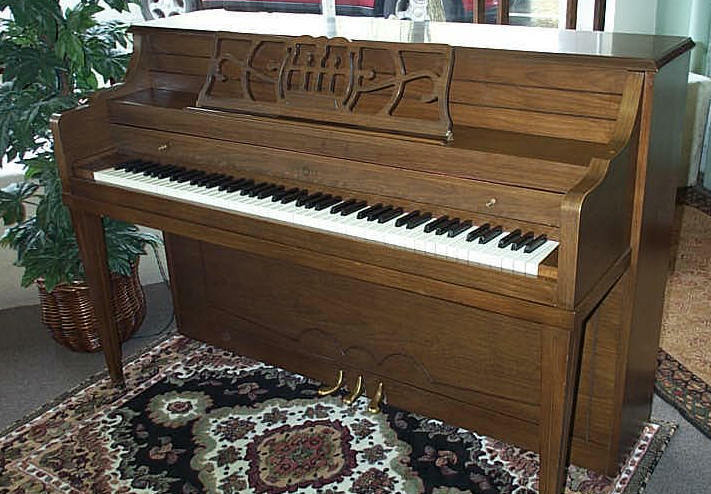 We believe this piano was produced in their Memphis, Tennessee factory, where Aeolian made economically priced instruments for American families. Since this piano wasn't the most expensive console when it was new, we're able to offer it at a budget friendly price again today. It has won high endorsements from many famous musicians, and has met the requirements of all buyers. The output of these instruments has greatly increased each year and the factory facilities have band the best proof of merit is its steady growth and the high esteem in which it is held by those who have used it and are most intimately acquainted with it. Both upright and grand pianos are made; and in tone, construction, style and artistic features they are strictly of a high grade. They are the product of an ambitious house of the highest responsibility. In all that makes an artistic instrument of the highest grade the is recommended. Description: Normal wear and tear scratches/nicks human factors. This instrument is maintained in a climate controlled residential environment. No repairs needed.